Gorgeous picture of Miroslava Duma with her gorgeous white Kelly. I weep! Now that the holiday season is officially upon us I have my mind on Winter White. There’s something about Christmastime that always brings that obsession out in me! I think the color is so beautiful in December, especially on New Year’s Eve. I don’t own much in Winter White, in fact, my sole piece is a ladylike J. Crew coat in sea salt that I featured earlier this year in “How I Wear My: Coat” (see below) and a fur collar I found one of my neighbors giving away on her stoop here in Brooklyn. I am going to make an effort to get that coat out more often this winter! I thought I’d share a few pictures I like featuring this glamorous shade of white. Enjoy! Rochas coat, Lorena Sarbu dress. From a Bergdorf holiday window, 2013. 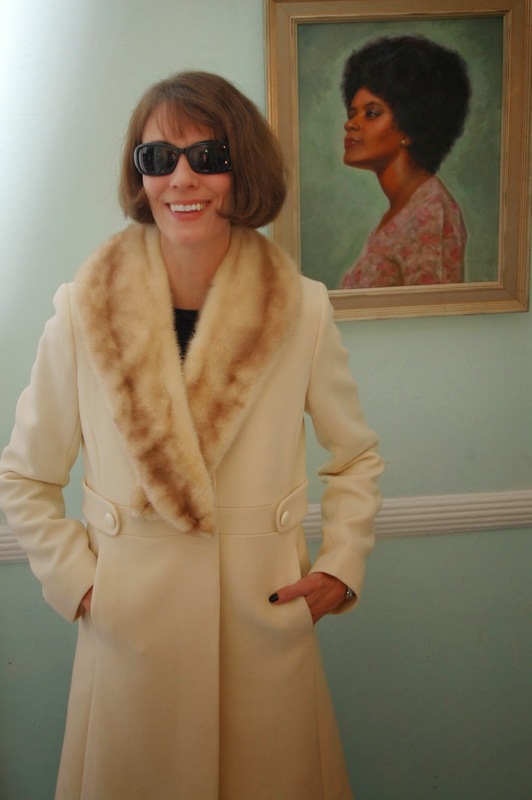 Love this look on Anna Wintour! 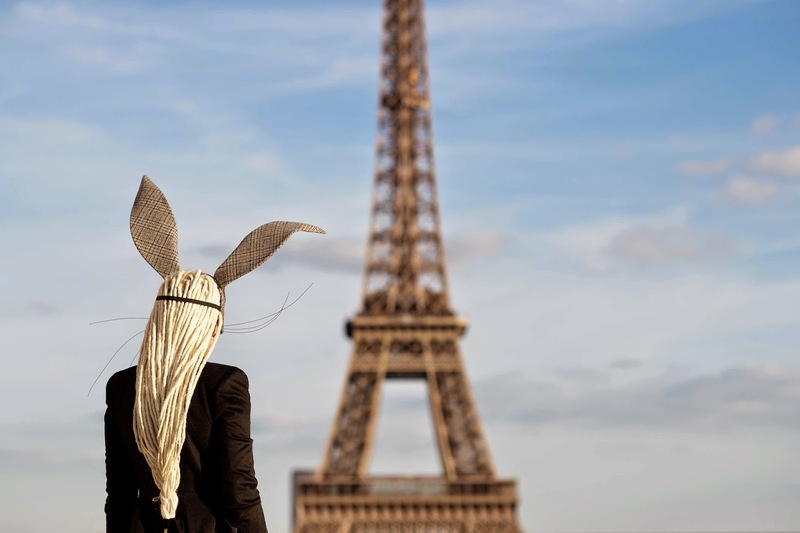 From Streetpeeper. Victoria Beckham opening her Dover Street store, Nov. 2014. Photo by Splash News. I like Victoria Beckham’s style so much more now that she veers toward ladylike ensembles. I despised that scantily-clad phase she went through. This is so much better! Isn’t her coat lovely? I love the back details on this coat! Photo by Neil Warner/Splash News. Jenna Lyons has never looked better! Photo by Getty Images. Winter White hair with your plaid bunny ears, anyone? Photo by YoungJun Koo, October 2014. Bergdorf Goodman always seems to feature at least one all-white window at the holidays. They do it so well and the effects they manage to get are stunning. Here are two of my very favorites! From a Bergdorf holiday window, 2011. Fur by J. Mendel. My favorite Bergdorf window ever, from 2012. Dress by Marchesa. From “How I Wear My: Coat,” January 2014. Photo by G. Keresty. Do you wear Winter White or only enjoy it on other people? If you want to see even more pictures of ladies looking so glam in Winter White, do head over to The Lion’s Den to see the roundup post my friend GSL put together. I love it! Excellent post Jill and thanks for the mention. 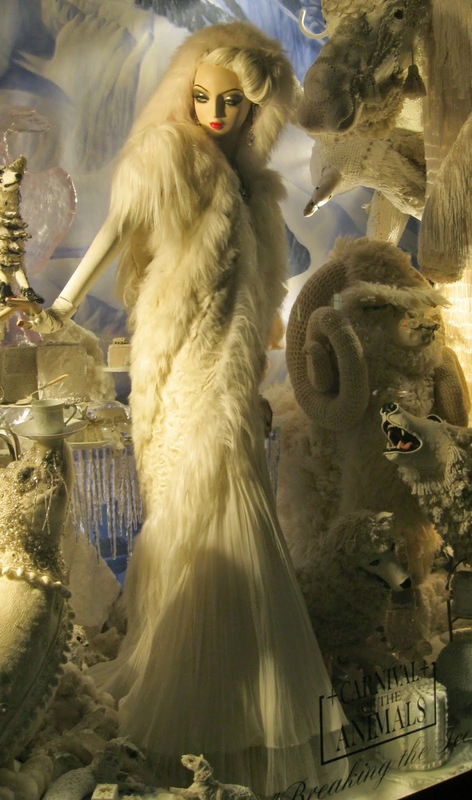 The Bergdorf windows are sublime...especially that fav of yours with Marchesa dress from 2012. The VB pics are wonderful and agree she has come a long way. I've always had a crush on Mira D but the pics I've seen lately show her heavily pregnant...that can't be much fun when such a tiny little thing. Really love you in your WW coat and Wintour sunnies!! And you should include yourself - you look wonderful. Winter white is so delicious looking. It always reminds me of white chocolate...Yum! Is that a smile on VB? She actually look happy. I love winter white on everyone but myself. The only winter white I sometimes wear is either in slacks or skirts with a deep color on top, usually black or navy. The Marchesa flapper dress is stunning. So Gatsby. I'm a fan of winter white, it flatters everyone. I have a beautiful winter white wool and leather trench style coat but I need to lose weight to wear it again (*sigh*). GORGEOUS coat Jill!!!!! you look so glam! I adore winter white Jill! I had a Christmas party many years ago and Mom arrived in head to toe white wool. She varied the textures and looked so beautiful and I've been a fan ever since. You look lovely in your coat! Thank you for posting such interesting things. Don't you just love fashion? Hi Rosie! Yeah, isn't that a great pic of VB? That's why I chose that one, she's finally smiling! Did you see that BG window when it was up? I think I actually gasped when I saw it, I was dying of love! Oooh, I love white pants with a dark color on top. Perfect for the holidays too! Thanks so much, Jill. Your beautiful winter white coat with the fur collar inspires me for next month's challenge. It's so glamorous with your sunnies!